Since water-borne disease can be transmitted in more ways than just through drinking water, we believe to solve the total water problem, a strategy must also provide solutions for village sanitation and hygiene. Pure Shores was uniquely developed to go beyond purifying water. 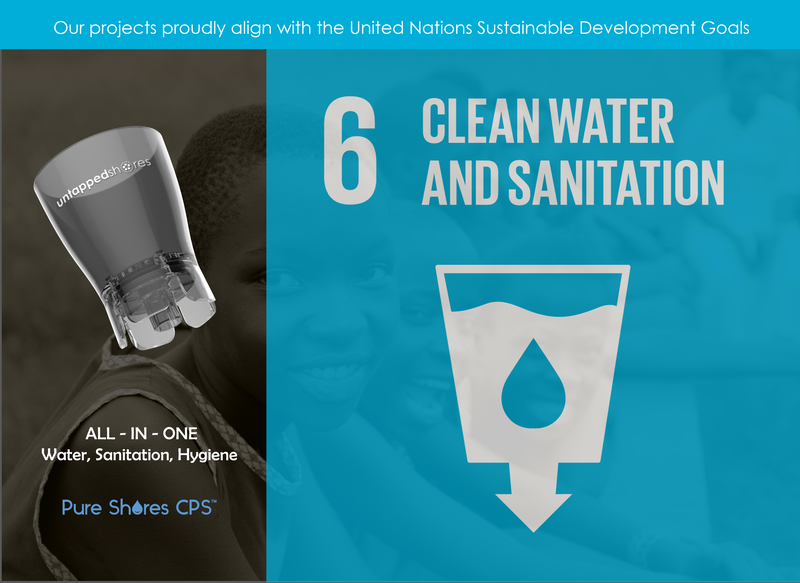 We decided to engineer a device that creates the liquid form of sodium hypochlorite, which is a safe and effective multi-purpose solution for sanitation and hygiene. Some examples of how the versatility of Pure Shores is rapidly improving community health include providing effective solutions for: hand washing, clinic sterilization, food preparation and eating hall disinfection, maternal room sterilization, medical tool sterilization, all-purpose cleaner, baby bottle disinfection. Water + Sanitation + Hygiene = Permanent improvements in community health. We solve the ENTIRE problem. Safe water for drinking and washing is very essential in promoting a child’s learning and can keep our children from missing school.